Uttarakhand is endowed with bliss of Himalayas. Covering every aspect of the hills- adventure, relaxation, bliss, spiritualty and everything, we have the 15-Days Explore Uttarakhand Tour. The itinerary covers the delightful gems of Uttarakhand including Rishikesh, Mussoorie, Auli, Kausani, Binsar, Munsiyari, Patal Bhuwaneshwar, Mukteshwar, Bhimtal, Nainital and Corbett. From the divine bliss of the Holy River Ganga, view of snow covered peaks, glistening lakes, lush valleys, scared temples, wildlife rich areas, the tour is a comprehensive vacation in Uttarakhand. Come, explore the bliss of the mountain state. The fresh air of the mountain and the amazing vacation works wonders for you. On arrival at the Delhi airport, meet our representatives who’ll arrange a smooth transfer for you to Rishikesh. As you reach Rishikesh, check-in at an onside camp. After resting for a while at the camp, set out to enjoy rafting on the river Ganga. The rafting will go on for several kilometers. While rafting you will experience rapids ranging from Level 1 to Level 5, in order of difficulty. 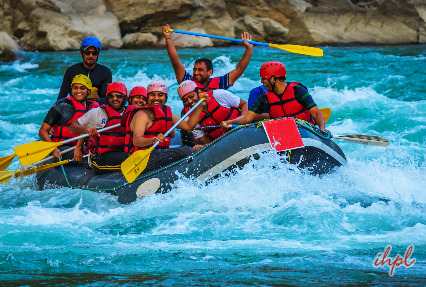 You may also enjoy rappelling, rock climbing, kayaking and trekking in Rishikesh. Return to the camp for lunch. In the evening pay a visit to the famous Laxman Jhoola and attend the Aarti Ceremony on the bank of river Ganga. In the night enjoy bonfire with dinner at the camp. Overnight stay at the camp. After breakfast, drive straight to Mussoorie -'Queen of the hills'. On reaching Mussoorie, check-in at one of our listed hotels. In the afternoon pay a visit to Gun Hill, Lake Mist, Kempty Falls and the Mussoorie Christ Church. Later in the day enjoy an evening walk on the Camel’s Back Road for its calm and refreshing surroundings. Enjoy dinner and overnight stay at the hotel. In the morning leave from your hotel in Mussoorie to reach Auli. 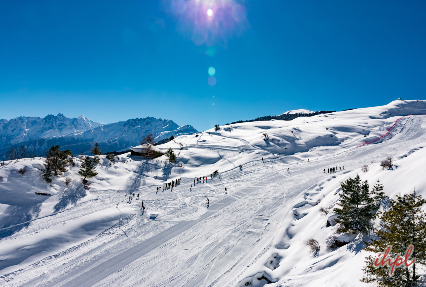 Auli is the most popular skiing destination of Uttarakhand state. Theslopes here provide enough thrill to professional skier and novice as well. On the way to Auli enjoy beautiful landscapes and scenic beauty. On the way to Auli enjoy the breathtaking panoramic view of the lofty peaks of Himalayas. On reaching Auli, check-in at one of our enlisted resorts. Spend the rest of the day at leisure. In the evening enjoy Sunset on Nanda Devi. Overnight stay at the resort. Post breakfast, embark on a sightseeing trip to places like Gurso Bugyal and Chattrakund - the sweet water lake. Later in the day you may set out for the slopes to learn the basics of Skiing. After lunch proceed to a locally guided trek to Lake Valentine. The trek passes through the thick pine forest giving a picturesque view of Helen Valley. Overnight stay at the hotel. Next morning, head straight to Joshimath for local sightseeing in and around the city. The major hotspots to visit in Joshimath include the Narsimha Temple, Shankracharya cave, Tpovan Temple and the Hot Sulphur Water Springs. Later in the day you may trek up to the exotic valley of flowers from Joshimath. Return to the resort in Auli for an overnight stay. In the morning wake up early and after breakfast, proceed to Kausani by road. 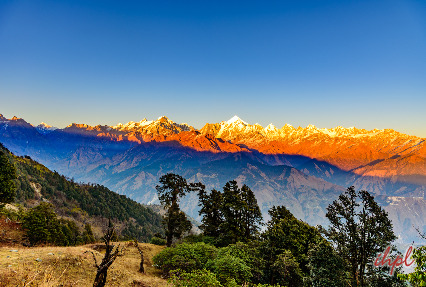 Kausani was described as 'Mini-Switzerland of India' by Mahatma Gandhi. On reaching Kausani check-in at one of our listed hotels. Later in the day embark on a sightseeing tour of Kausani. The major tourist hotspots to visit include the Anashkati Ashram Laxmi Ashram, Sumitranandan Pant Gallery and the Kausani tea estate. Overnight stay at the hotel. In the morning leave Kausani to reach Binsar. Upon reaching Binsar, check-in at one of our listed hotels. After resting for a while in the hotel, move out to visit Binsar Zero Point from where one can get an unparalleled view of the magnificent Himalayan Range. Then visit the famous Bineshwar temple that is dedicated to Lord Shiva. Later in the day explore the Binsar Wildlife Sanctuary, home to more then 200 species of birds, Himalayan bear, fox, leopard etc. Return to the hotel in the evening for an overnight stay at the hotel. Next morning head straight to Munsiyari- the Little Kashmir. 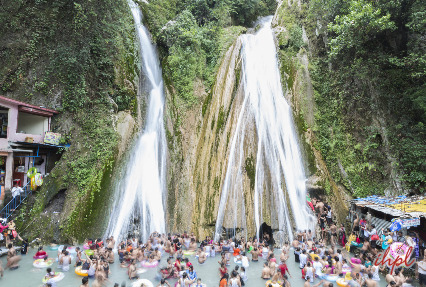 The region is a paradise for nature lovers and adventurous souls. It is a base camp for the trekkers to Milam, Nanda Devi peak and the Ralam glaciers. On reaching Munsiyari, check-in at one of listed resorts. After relaxing for a while, pay a visit to some of the major attractions like Madkot, Birthi Fall, Narayan Ashram and the Dharchula. Overnight stay at the hotel. Early morning after breakfast, proceed to Patal Bhuwaneshwar a tiny town that is situated in the Pithoragarh district. The Patal Bhuwaneshwar is famous for its cave temple, situated at the height of 1350 meters above the sea level. The Limestone rock formations have created various stalactite and stalagmite figures of various hues and forms. The way to the temple is through a narrow tunnel shaped cave and is fully electrically illuminated. The main passage way opens into several small caves. Dinner and overnight stay at the hotel. Post breakfast, head straight to Mukteshwar. Mukteshwar is a sacred shrine that holds great importance amongst the people of Uttrakhand. The Shivling placed in the temple is surrounded by idols of Parvati, Hanuman, Nandi, Brahma and Vishnu. The Mukteshwar temple is situated at an astounding elevation of 2312 meters above the sea level. En route to Mukteshwar while crossing Almora halt to buy some Baal-Mithai, the local sweet delicacy. On reaching Mukteshwar get accommodated at one of our listed hotels. Enjoy Darshan at the Mukteshwar temple. Rejoice dinner and overnight stay at the hotel. Post breakfast, commence your journey to Bhimtal. On the way to the Bhimtal stop midway to visit Ghorakhal- for the famous army school, Naukuchiyatal Tal. After arriving Bhimtal check-in at your hotel. Spend the rest of the day at rest. In the evening visit the Bhimtal Lake. The main attraction of the lake is beautiful Iceland. Enjoy dinner and overnight stay at the hotel. After the Breakfast, leave for Sattal. 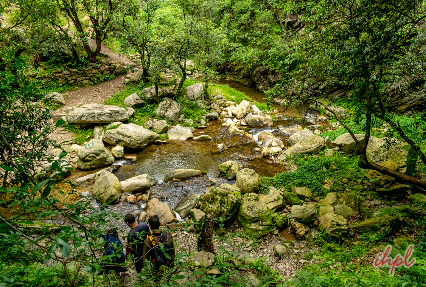 Cross the Lake and trek half km to Reach Getaway Jungle Camp, built on a large natural plain ground located between the plains. Lunch at the resort. Enjoy a game of cricket, rappelling, nature walks and other fun-filled activities. Enjoy bonfire and music with dinner. Overnight stay at the hotel. In the morning after an early breakfast, proceed to Nainital by surface. On arrival at Nainital, check-in at one of our enlisted hotels. Rest and relax for a while in your hotel room. 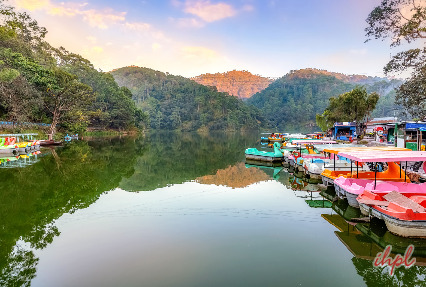 Later in the day embark on a sightseeing tour of Nainital. The major tourist attractions include the Khurpatal Lake, Waterfalls, Hanuman Mandir, Observatory etc. Also enjoy the cable car ride to Tiffin Top and boat ride in Naini Lake. In the evening enjoy shopping at Mall Road. Overnight stay at the hotel. Don the 14th day of the tour after breakfast, move out for a full day excursion to the Tiger Reserve- The Corbett National Park. 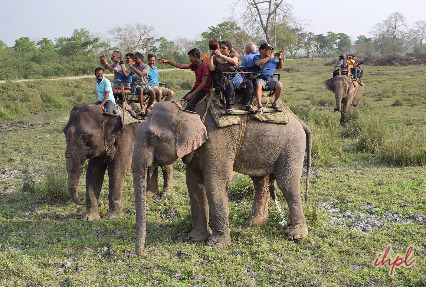 The park offers you to visit a wide variety of species like Tigers, leopard and elephants. Experience the jeep safari and explore the rich flora and fauna of the park. Enjoy bonfire and dinner at the hotel in the evening. Night stay at the hotel. In the morning after breakfast, check out of the hotel and leave for your journey back to Delhi for the onward destination.